I grew up in the South and was often called Honey Child, always by adults my grandmother's age (mostly by women). I got in the habit of using the term myself, even as a little boy. I still use it when I'm riled up about something and/or intoxicated. Friends use the term around me, in exaggerated fashion, when I'm pontificating or "hogging the stage." I think Hiram Green Slowdive* should have been called Honey Child. It's a sweet, endearing — and amplified — honey perfume. Though I don't like honey in drink or food (exception: honey cake flavored with orange blossom essence, vanilla bean and a splash of coffee), I love the scent of honey in perfume, toiletries, candles, incense. My latest honey "love" is Savon Oriza Miel d'Angleterre soap. Slowdive begins with aromas of dense orange blossom mixing with...vanilla? (The opening accord smells like a fabulous liqueur.) As a pick-me-up, I eat Japanese candied citrus peels, and one aroma in Slowdive reminds me of these simple treats. In mid-development, Slowdive "solidifies"...turning from thick floral liqueur into beeswax. The honeyed beeswax is joined by blonde tobacco and amber-encased tuberose. If my description makes Slowdive sound like too much of good things, wearying to wear, heavy — it's not. The base of Slowdive becomes lighter and more diffusive; and this happens within 15 minutes. Slowdive is long-lasting, unisex and 'seasonless' — it can make any time of year smell happier. Hiram Green Slowdive Eau de Parfum is available in 50 ml ($165) or 10 ml — shown just above — ($45). For information on where to buy it, see the listing for Hiram Green under Perfume Houses. * Listed fragrance notes of neroli, orange blossom, tobacco flower, beeswax, dried fruit, tuberose, resins. Thanks for the review. This scent reminds me of an old honey bath and body line from a company that I think is out of business: H2O. With a lot more depth of course. I’m really liking this one. I think we all have a little Hunny Chiiiiillllllee in us after a few Pinot’s. ???????????????????????? Downtown Scott: yes, we do! Am ai the only one who got a blast of animal from the get-go? Not skank, something feral. That animalic scent combines bery well with the honey / beeswax sweetness. Parts od Slowdive remind me of SSS Bee’s Bliss. Where’s spellcheck when you need it? I will blane it on fat fingers! Ai! No animal smell of any sort here, but lots of people think honey is animalic in character. Hajusuuri – do you think I need to test this if I already own Bees Bliss? I have room in my budget for one of those HG travel sprays and haven’t been able to pick yet. Wondering if I should test this one before I pull the trigger. I tend to buy when something fills a hole in my collection rather than having many variations on themes. Very late response (I just got a sample of this), but, yes, I get this initial blast of animalic, too! It goes by very fast, and then vanishes. It’s impossible for me to not think of the British band Slowdive every time I see this fragrance mentioned (I’m a big fan – of the band). Is it like any other honey prominent scent Kevin? Mike: offhand, it does not remind me of another honey that I’ve smelled…all my honey associations are with soaps and such…or beeswax candles. Of course my all-time favorite honey perfume was reformulated BADLY. is a pale shadow of what it used to be: Miel de Bois; wish I had bought a case of that when it came out. Lovely afternoon read. Thanks Kevin! Oakland: You’re welcome; pitch black here at 4:30 p.m. and some hail to boot. Honey-scented or honey-toned anything would be nice! Oh sweet honey child! I’d sure love to have a chitchat with you when you’re intoxicated!???? Back in the day, I often heard the older ladies use “sugar pie.” Usually in a loving way, but not always, hehe. ???? 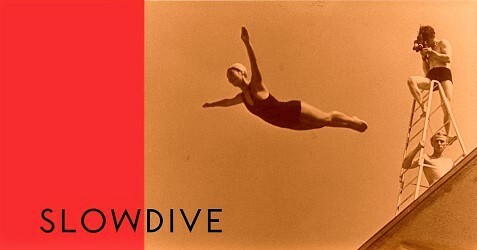 Now on to perfume business, I’ve been dying to try Slowdive. And your review has me so tempted to buy a sample. Please talk me down from the ledge. I don’t need any more additions to the bottle list! Oh, Laura…my honey bunch! You are looking at the wrong man to talk you down from the ledge. A sample won’t kill anyone! Right? Oh I looove honey! Whenever my mother travels these days, she always picks me up a jar of local honey. Easy and tasty. I’ve only tried one of the line, Arbole Arbole, and was completely surprised by it. It was lovely, yes, but not at all what I expected. Of course, i’m salivating to try this one too. Coumarin, did you pay an arm and leg for Miel? It rarely shows up anymore. Less than my max bid, at least! I’m testing Slowdive right now, it’s been on for about six hours. I get a ton of honey, some tobacco and tuberose, and not much else. Sillage and longevity are impressive for a natural perfume. Not sure I need a bottle, as I have Back in Black and Absolue pour le Soir, not to mention Bee’s Bliss, in the syrupy sweet category, but it is very well done. Thumbs up. Cazaubon, looks like I need to try Bee’s Bliss…. Unfortunately it’s discontinued, as Laurie Erickson is selling Sonoma Scent Studios and stocks have run out. Having tried–and truly disliked–several of the previous Hiram Green scents, and having previously had no particular interest in honey as a perfume note, I would have been unlikely to check this one out had I not read your review. Having read the review, though, on a whim, I included Slowdive as a final free sample to accompany a Luckyscent order. On me it was all HONEY for the first few hours, before the tobacco flower, tuberose, and some unidentifiable other notes started to come in. It lasts forever, and I love it! I think it just edged out Dryad at the top of my (very short) perfume wishlist. Thanks so much for a wonderful–and intriguing–review!